Surety and Bond has been an INDEPENDENT SPECIALIST in the Surety market purely assisting clients with bonds and guarantees in the UK and overseas since 1996. Our skills in this complex market have led us to assist thousands of clients both large and small. 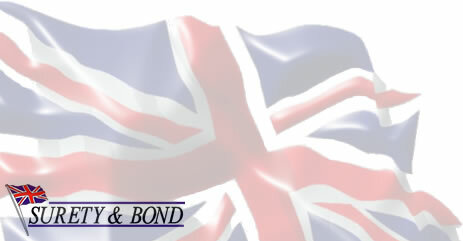 Regardless of how simple or unusual your requirement if you are looking for bonds or guarantees we aim to assist you. Why not make life simple and deal with a SPECIALIST. Our excellent relationships with both the UK and international Surety markets enable us to source products tailored to client’s needs at very COMPETITIVE RATES. Ours years of experience has allowed us to form close working relationships with other professional specialists and bond providers throughout the world. We are now able to assist clients with requirements for bonds into China (where bank bonds are normally required), India and the Middle East for example. We also assist clients who have specialist requirements for Commodity Performance Bonds and Marine Cargo Insurance. An increasing requirement is for Rural Payment Agency Guarantees, again we can assist. Financial Guarantees (for MBO’s etc) and Trade Credit Finance enquiries are also welcome as we have access to products that help provide workable solutions that allow businesses to thrive and grow. Our markets for Trade Credit Finance and Financial Guarantees are small flexible providers of such products and respond very quickly to enquiries. Being an INDEPENDENT SURETY SPECIALIST we are better placed to find solutions that will meet your needs and if you are a broker we can assist your clients without the fear of your general insurance business being threatened or your position being circumvented. Our large network of introducing brokers who use us as their ‘in house’ surety specialist is testament to this fact. Our application process is QUICK AND SIMPLE. We recognise that speed of service is essential and are often able to give terms and conditions within the same business day. Our approach is a personal one so we don’t ask you to complete impersonal online forms which can often be misleading and not provide the answers to the questions you have. For our application form, an INDICATION OF LIKELY TERMS AND CONDITIONS or simply to discuss your needs please contact us today and find out how we can help you.